Can You Contribute to Both a Traditional IRA and a Roth IRA? A Roth IRA and a traditional IRA are among the most valuable retirement saving opportunities available after an employer-sponsored retirement plan. Both types of IRAs offer tax-deferred growth, but with different tax treatment of the contributions going in and the distributions that come out. Motivated retirement savers often ask if they can contribute to both. There's no easy yes or no answer. It depends on eligibility factors and current contribution limitations. The major distinction between Roth IRAs and traditional IRAs is the money you contribute to each. Roth contributions are made with after-tax dollars, whereas traditional IRA contributions are typically made with post-tax dollars. Many taxpayers can claim a tax deduction for the amount of their traditional IRA contributions. As a result of all this, Roth distributions from principal can be taken tax-free. 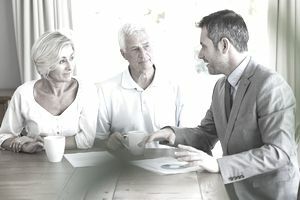 Traditional IRA distributions from principal are subject to taxation in the year you take them, and you must begin taking required minimum distributions after you reach age 70 1/2. Not so with a Roth IRA. You can remain fully invested for as long as you like. Anyone who has earned income during the tax year can make a contribution to an IRA, whether that income is the result of a wage-earning job or through self-employment. Married workers can also contribute to spousal IRAs on behalf of their spouses if that spouse didn't have any earned income during that year. Income from interest, dividends, and capital gains alone doesn't permit an individual to contribute to an IRA, however. Provided that your compensation is at least as much as the amount of your contributions, taxpayers under 50 years old can contribute up to $6,000 a year to their IRAs as of 2019. Those who are at least 50 years old by the end of the tax year can contribute an additional $1,000 in catch-up savings annually for a total of $7,000. It doesn't matter how you split your Roth and traditional IRA contributions if you want to invest in both as long as your combined contributions don't exceed the annual contribution limit. For example, a 45-year-old might be eligible and choose to contribute $3,500 to his Roth IRA during the 2019 tax year. The most he could contribute to a regular IRA in the same tax year would be $2,500, given the current $6,000 annual limit. The contribution limit has historically been raised in $500 increments for every year in which there is measurable inflation. The limit was $5,500 in 2018. The $1,000 catch-up contribution is not indexed for inflation, however. Although some high-income taxpayers have IRA contribution deduction limitations, your income doesn't affect your ability to actually make traditional IRA contributions. It only affects whether you can claim a tax deduction for that money. Roth IRA contributions are different, however. Certain upper-income taxpayers can't contribute to Roth IRAs due to contribution limits and restrictions associated with these accounts. Your taxable income cannot exceed $137,000 in 2019 if you're single, or $203,000 if you're married and filing jointly. Contribution limits begin phasing out or decreasing at $122,000 and $193,000 respectively. Provided you meet the earned income requirements and the income limitations for each type of IRA, there's nothing to stop you from contributing to both. You'll reap both the immediate benefits of tax-deductible contributions and the long-term benefits of tax-deferred and tax-free future income. You might find that your eligibility for tax-deductible contributions or your ability to contribute to a Roth might change due to variations in income. You might therefore fund just one or both accounts depending on your situation. You can learn more about the process of determining which option is the best for you by running a few simple calculations. It's hard to predict where tax rates are headed in the future, so it helps to know that you can get the best of both account types by making contributions to both a traditional and Roth IRA when possible.